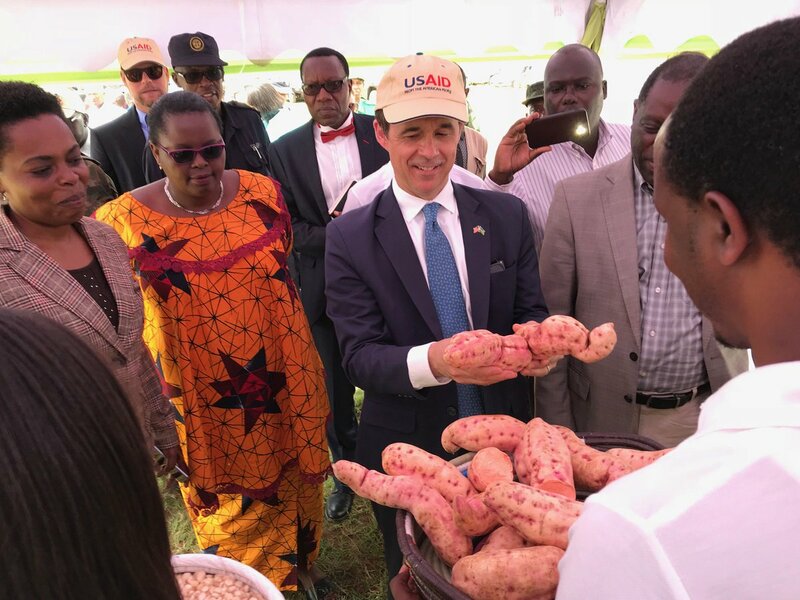 Bugesera, Gashora - On April 26th, 2018: The United States Agency for International Development (USAID) launched a new 28 Billion RWF project to support agricultural growth and resiliency across Rwanda. The project, called Feed the Future Rwanda Hinga Weze, will be implemented over five years in 10 districts across Rwanda. Hinga Weze will work directly with over 200,000 farmers. The project will help them grow at least 50 percent more crops on the same amount of land by promoting sustainable use of fertilizers, improved seeds, watering practices and more. With more crops per hectare, farmers will have more money and greater food security. 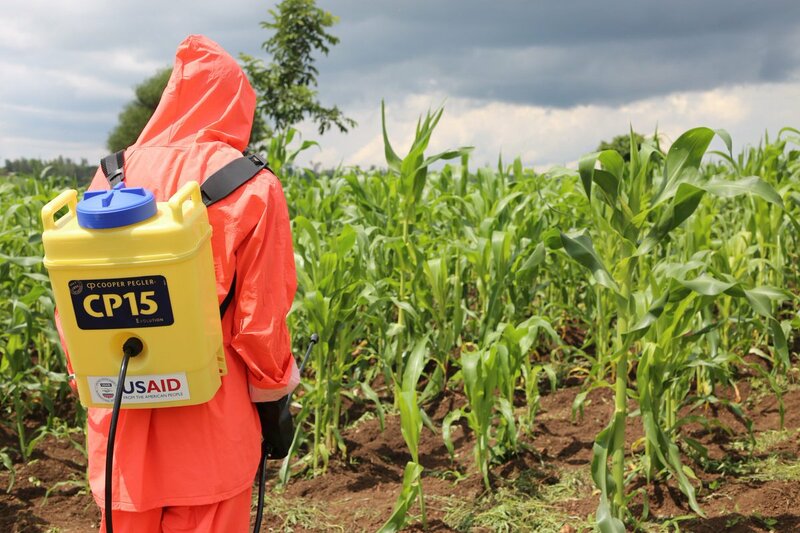 Hinga Weze will also provide pest management training, affordable safe-insecticide, and spraying equipment to help farmers combat the invasive Fall Armyworm pest. The project will also bolster the resilience of Rwanda’s agricultural sector to a changing climate. By the end of the project, over 600 new hectares of farmland will be fitted with new irrigation infrastructure. 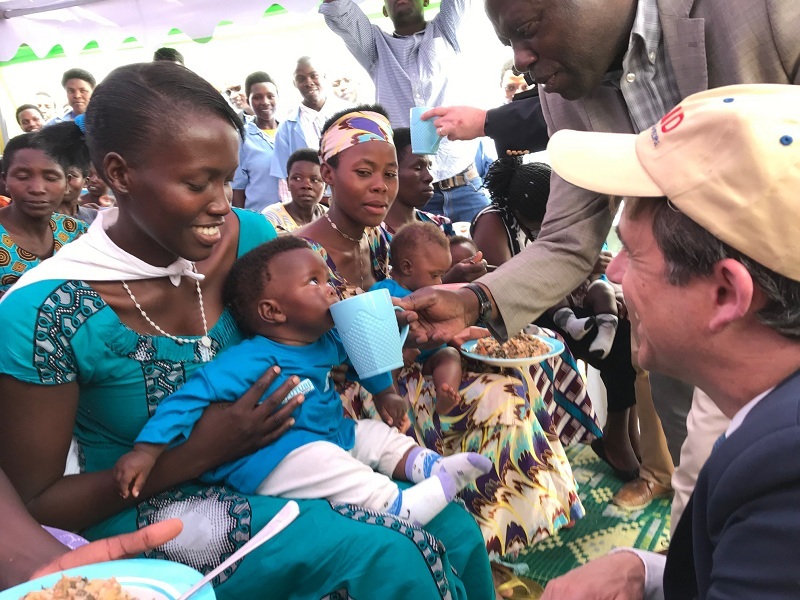 The new USAID-funded project will also improve the nutrition of hundreds of thousands of pregnant women and young children across Rwanda, who are vulnerable to stunting. That’s because the Hinga Weze will partially focus on the cultivation of highly nutritious foods, such as orange fleshed sweet potatoes and high-iron beans, and will train families and communities on preparing nutritious meals. The project launch in Bugasera District was attended by the U.S. Ambassador to Rwanda, Peter Vrooman, the Minister of State in Charge of Agriculture, Fulgence Nsengiyumva, other Government of Rwanda representatives, agribusinesses, farmers and others. Hinga Weze will be implemented in the following 10 districts: Gatsibo, Kayonza, Bugesera, Ngoma, Nyabihu, Rutsiro, Ngororero, Nyamasheke, Karongi, and Nyamagabe.